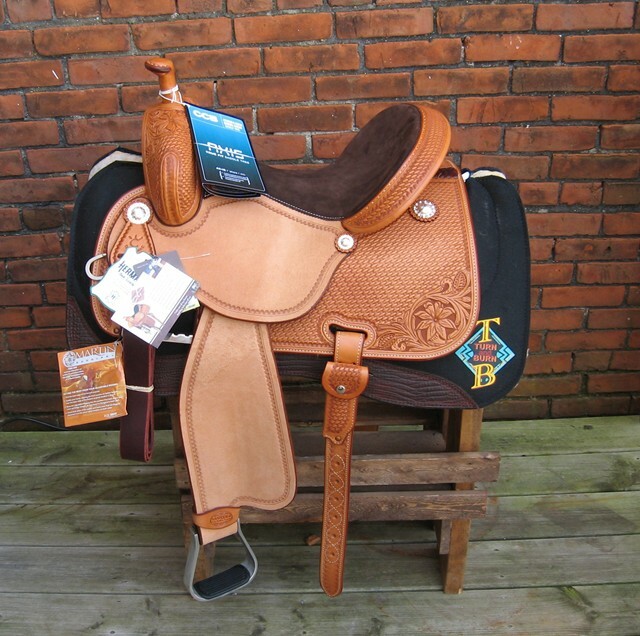 The Chap Shop offers customers high quality western saddles and tack as well as professional insight on saddle design and fit for both horse and rider. 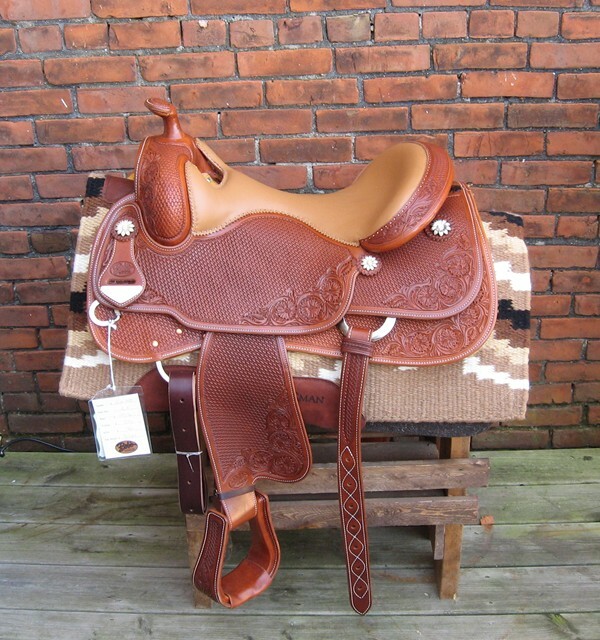 We stock 250+ western saddles - work to show - used and new. We are known nationwide for our knowledge of our products and service to our customers. We consult with some of the best names in the industry to provide quality training and show equipment to meet the demanding needs of today's trail riders, performance horses, trainers, showmen and women. Bob's light weight Reiner was directly influenced by Freddie Horn's input into the design. Freddie believed that there was something missing in the saddles available and this design would be beneficial to the industry without compromising quality. We are proud to present the Freddie Horn Edition Reiner 16.5in! It is exclusive to the Chap Shop. 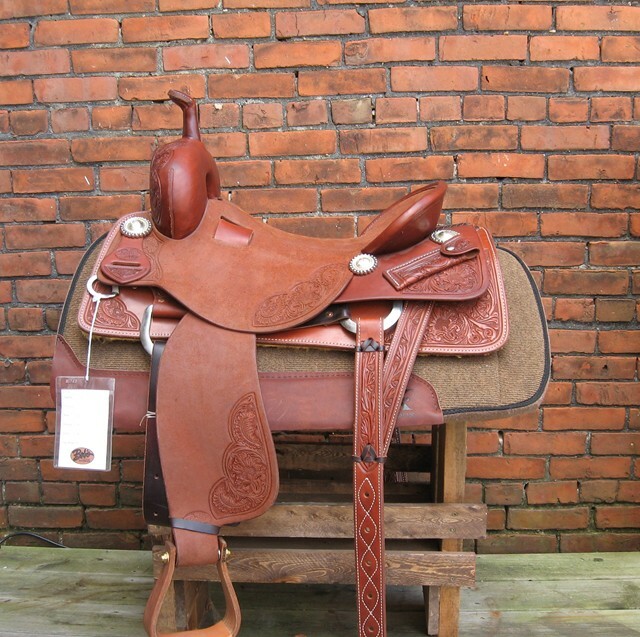 We wish to thank Bob's Custom Saddles for creating this saddle. Another exclusive to the Chap Shop is the Youth Edition of the Freddie Horn Reiner. 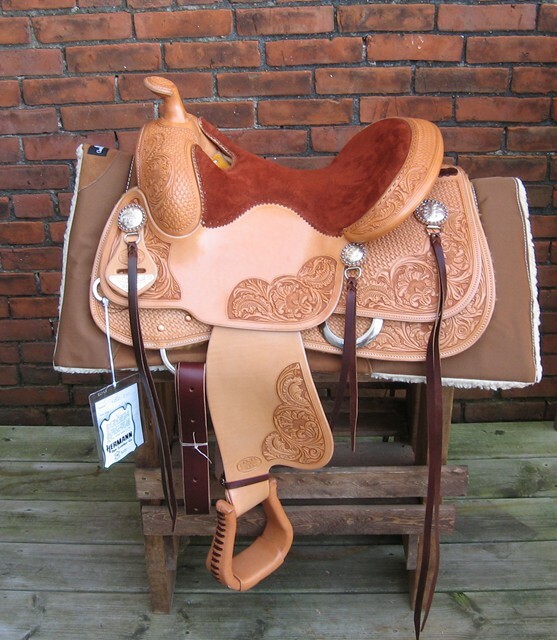 Again we thank Bob's Custom Saddles for producing this fine saddle. Bob's Custom Cutter Cowhorse 16.5in! Martin Barrell Cervi Crown C 14.5in!